It's August! Yes, It is! The month of August is actually the month for Cagayan de Oro as the city celebrates its annual Kagay-an Festival particularly on August 28, 2012. Aside of the festival, there is also the so-called KUMBIRA, the largest culinary show in the Philippines with its year's theme: "EATS MORE FUN IN THE PHILIPPINES" on August 15-17, 2012. And what are the things to expect during this superb festivity? A great-deal of experience, exciting, and adventure! - Officially launched last July 04, 2012, Tsada Kagay-an also known as the TK4 Tour is the prime mover of the city tour in Cagayan de Oro. For only P599 per head, you will be touring around the city for a maximum of 4 hours. Not only that! You'll be learning the historical views of the city while enjoying the scene and experiencing the hospitality and friendly approaches of the Kagay-anons. What's nice about this tour is that, is it the birds eye view of the city. You'll be traveling the city on an air-conditioned Coaster with the services of a Tour Coordinator and D.O.T. accredited Tour Guide. Entrance and Admission fees are actually included when you avail the tour. Plus, don't be surprised when the Tour Guide and/or Tour Coordinator will give you a pastel (a soft-bunned pastry with sweet caramel inside) and 1 bottled-water for free. Yes! That is for free! For 4 hours, you'll be traveling a 360 view of the Plaza Divisoria (the center of trade and commerce in Cagayan de Oro) which most of the businesses are found and where the Freemasonry Centennial Marker is located. Then, you'll be going to the Gaston Park and the St. Augustine Cathedral. There, you'll be amazed of the centennial old gothic inspired cathedral which houses the seat of the Archdiocese of Region 10. After that, you'll be walking on a 20 steps going to the only leaning tower of Cagayan de Oro known as the City Museum. Yes! The Museum is actually leaning on the right same as that of the Leaning Tower of Pisa. What to expect in the Museum? The history of Cagayan de Oro and the people who carefully furnish the city. After knowing the history of Cagayan de Oro, you'll be going to a pasalubong center. What's next? You'll be traversing to the longest street of the City known as the J.R. Borja Street for you to go to the next destination- The Cogon Market! What's the catch about this market is that it houses one of the best Hot Chocolate in the Region called the "Sikwate" or "Tsokolate". You'll also be surprised because you'll be seeing a guy making a hanging rice known for us as "Puso". Aside of the above-mentioned itineraries, the TK4 also includes Lim Ketkai Center which houses the first Starbucks in Mindanao and first McDonalds outside Metro Manila, La Castilla Museum, Museo de Oro, Gen. MacArthur Marker which houses the largest replica of the cap of General Douglas MacArthur and the Plaza De Los Heroes. Isn't it amazing? Avail it now! - Yes! 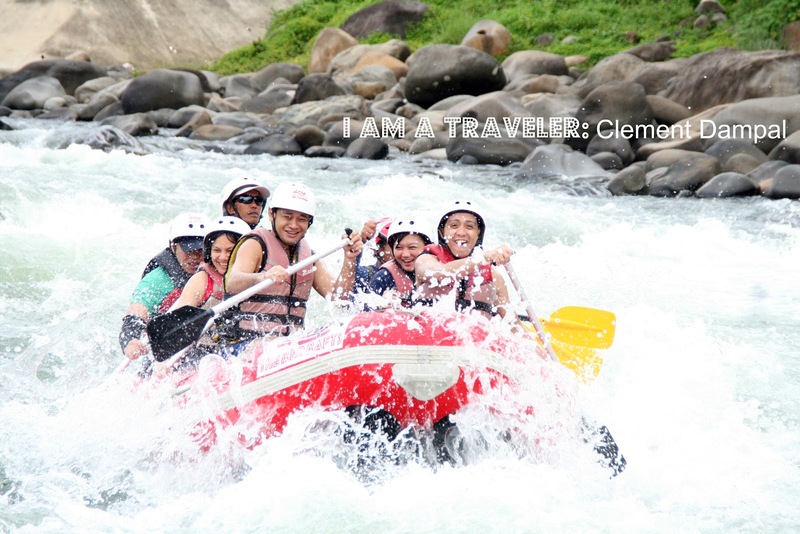 the main product of the city is its world-class whitewater rafting adventure that is why Cagayan de Oro is dubbed as the Whitewater Rafting Capital of the Philippines. Whitewater Rafting Adventure in Cagayan de Oro is a must thing to do while staying in City because. There are actually 3-4 courses offer in whitewater rafting depending on the company you choose. You'll be enjoying your adventure while learning how to paddle up your adrenaline! From beginner course which is only P700.00 per head, you'll be experiencing a maximum of 3 hours rapid run while beating up the mighty rapids of the Cagayan de Oro River. The next course is the advance course which will lead you to a maximum of 4 hours rapid run depending on how you do the paddle and the rush. Some whitewater rafting companies offer the advance II course for P1,200 per head which is a bit advanced to the first one.For only P1,000 per head, you'll be experiencing the course (advance 1) and enjoying more great rapids than the beginner course. The last course is actually not for the faint-hearted individuals but for the enthusiasts and brave-heart travelers that is why is it called the extreme course. For only P2,000 per head, this dare-devil adrenaline adventure will let you experience a real extreme adventure while playing around the mighty rapids of Cagayan River. Plus! don't be surprised to view the fantastic scenic flora and fauna of Cagayan de Oro (of the left side) and Bukidnon (on the right side). I'm pretty sure that you'll be amazed with the gorgeous falls and panoramic views of the river. Dont be worred because there are 3-4 certified guides that will accommodate you through out the 2-3 hours actual rapid run. Another course that you can actually avail is the Night Whitewater Rafting for P2,000 per pax which has the minimum of 6 person. I'm not suggesting this for everyone especially the faint-hearted but this is a real fmagnificent adventure, extreme than the extreme course. What's the catch of this is that, you'll be playing the mighty world-class rapids of the river by night time. Yes! it's on the evening that is why it called a night whitewater rafting! And yes, this has been experienced by other travelers which is inloved with purely extreme, nerve cracking, fast-breathing adventure. TIP: If you wanna avail this special adventure called the night whitewater rafting, the best way to experience it is when the moon is on its full bloom- The Full Moon. Don't be afraid of the werewolves and or vampire stories because we're not rich with that folklore rather be blessed because when the moon is on its fullness, the reflection of the river is on its vivid clearance. So, what are you waiting for? Reserve a slot now! TOP 3- Shop at Night! - The best time to shop in the city where you can buy cheap items, the crave for foods or just unwind and enjoy is by night. Yes! Every friday and saturday nights, the city's Divisoria is filled with people gathered around to shop and drop, enjoy the moment, meet other people or even dine in. This is best known as the Night Cafe' and Night Market which starts at 6pm until 3am, being the latest. What you can see in the Night Cafe' and Market? - Sorts of people! Yes! You can see all kinds of people here. From students to professionals and businessmen, from budget-conscious to rich individuals, from locals to tourists, even the foreigners. Everyone is indeed invited to visit this area for free! - A wide range of Cheap Items! Yes, there are lot of items that you can buy for cheaper ones and you can even ask to make it lower. This term is what we called: "Hangyo". Ask the vendors and they will surely give you a lower price. - Live music! There are also bands playing during the night cafe' starting from 8pm (the earliest) to 12mn(the latest). - Foods! A wide-selection of foods are just waiting there for you to try and tastes. Forget about your diet and just enjoy your dine in while listening around the live music and/or enjoy watching the people meeting around the place. - I am proud to say that Cagayan de Oro offers one of the best Sinuglaw's in the Philippines. What's the secret? Well, i guess it is because of this one fruit recipe called the "Tabon-tabon" that is distinctly unique about our Sinuglaw. For the newbies, Sinuglaw is actually a combination of two food recipe namely "Sinugba"- grilled pork meat that has been sliced or cut into chunks. And the "Kinilaw"- a raw fish being bathed in vinegar with ingredients like ginger, onion, salt, "suha" (citrus and/or native lemon), salt, and a spice of red chili pepper. Don't forget to add the tabon-tabon for a delicious Sinuglaw! 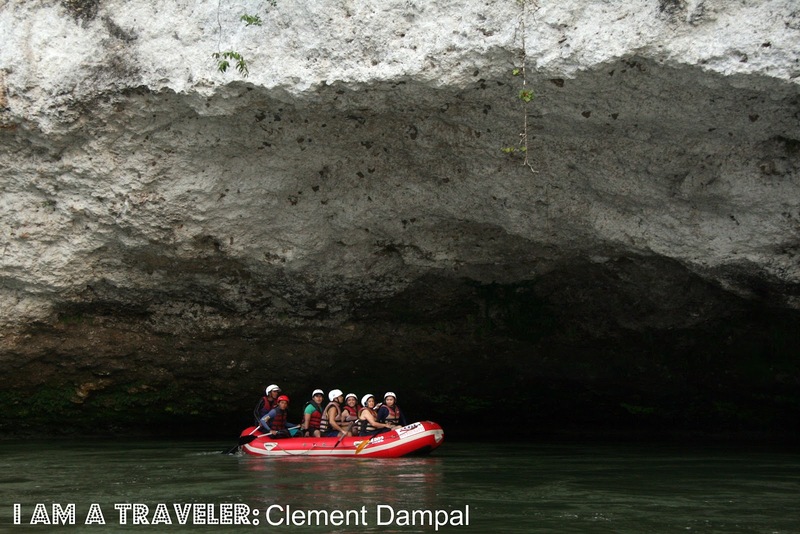 TOP 5- Experience new sets of Adventure- Canyoneering and River Trekking! - Searching for a new set of experience and a new thrill of excitement? Yes! 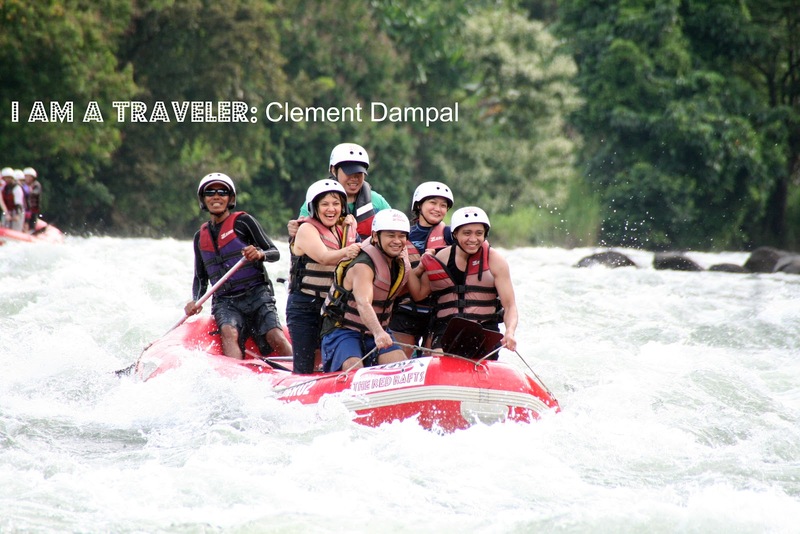 Cagayan de Oro offers new sets of adventure for daredevils out there. One of which are the Canyoneering and River Trekking! For only P1,500.00 per head with a minimum of 5 pax, you can avail this great adventure which includes free transfers from Divisoria to the jump-off and from end-point back to the city, Safety gears (helmet, life jacket, buoyancy aid), Park Entrance Fees, and Packed Lunch. Not only that, you'll be experiencing a 20 feet natural slide, 25 feet jump, 65 feet rappelling, and mostly, river trekking. Don't worry because there are certified river and trek guides that will accommodate you through out your actual experience. - One way to rejuvenate and unwind is getting in touch with Mother Nature. Luckily, Cagayan de Oro offers that experience at Malasag Eco-Tourism Village and Gardens. And yes! 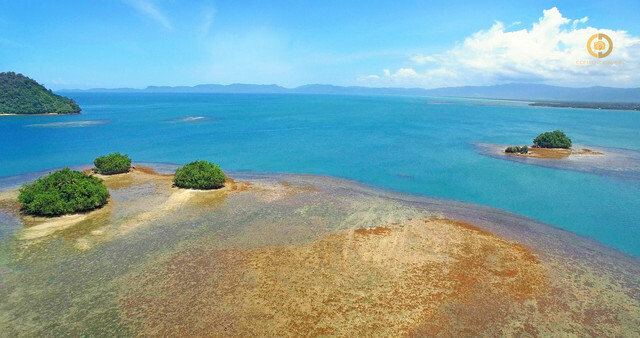 It offers a panoramic view of the Macajalar Bay! Isn't that amazing? Indeed! Plus! Don't be surprised if you'll see native tribes which will dance with you with their native dancing steps. I can even say it with a smile: "It offers a real feeling of relaxation and caress of nature". As one song states: "And I say to myself, what a wonderful world". - Aside of the Whitewater Rafting Adventure, Cagayan de Oro also offer zipline adventures for its visitors. Zipline Adventures are located at Barangay Bulua, Barangay Bayanga for the Jatico Extreme Adrenaline Adventure, Barangay Cugman for the Mapawa Nature's Park, and Barangay Lumbia for the Macahambus Adventure Park. We are proud that the first-longest multiple-course zipline in the Philippines is in located in Cagayan de Oro, no other than the Jatico Extreme Adrenaline Adventure. What makes this the longest is that, it is a combined-zipline with 5 multiple courses which will give you a total of almost a 1,000 kilometer actual ziplining for only P500 per pax. Now, that is amazing! Plus! Jatico Adventure is proud to say that the first big swing in the Philippines is also located in the area. Now, that is a must-try experience! TOP 8- Airsoft or Real Guns? Take your pick! - Take your pick! Having real firearms shooting or just toys for the big boys guns? Whether you decide which is which, Cagayan de Oro is indeed a place for both enthusiasts of firearms. Yes! Airsoft has been an addicted sport in the city including the practical firearm shooting. For only P499 per pax with a minimum of 10 pax, you can avail this experience which includes ALL-IN-PACKAGE: Complete gear (bonnet, vest, mask, gloves, gun with 1-magazine), Transportation, Snacks and even water. And yes! the water is unlimited! Yeah! The package rates are actually there.All you gotta do is click the link above. - First-timers or Newcomers are always amazed and surprised when they saw and when they knew that Cagayan de Oro has a lot of Malls which includes the big names of the industry. We are proud that the city offers a wide-arrays of malls which shoppers, buyers, newcomers can choose from. Yes, we have our own SM! And soon will be two! From Uptown to Downtown SM! Yes, we have our own Robinson's also called as the Robinson's Cagayan de Oro which is known before as the Big R! Yes, we will be having the soonest are own Ayala Mall known as the Centrio Mall! Yes, the well-famed Gaisano Mall is also seen here with 6 branches! Yes, we also have our local malls known as Ororama and Lim Ketkai Mall which is the 16th largest Mall in the World! Don't forget that Lim Ketkai Center is also one of the first Malls in Mindanao! Me Gusta! - Of course, don't forget to say: "Hi" and "Hello" to the locals, that is why we are called the "City of Golden Friendship" because Kagay-anons are friendly and accommodating. Don't forget to say: "Tsada Kagay-an! Ali namo sa CdeO" which means, Cagayan de Oro, a beautiful place: Come and visit us now! - If you have inquiries and/or concerns, please don't hesitate to contact me. I'll be glad to assist you on your stay in my city: Cagayan de Oro City. hi! we are going to CDO on Sept. We are couple and I am looking for rafting companies which can provide/accommodate 2 person or can we just join other groups. thanks! That is good! You should try the TSADA KAGAY-AN Half day City Tour for only P599 per pax. Meanwhile, the rafting adventure starts from P700 per pax for the beginner course. Would you like me to reserve you for your Whitewater Rafting Adventure here in Cagayan de Oro City? If yes, then please send me a message through countclementdampal(at)gmail(dot)com. Just don't forget to add an information about yourself and your contact number. Bugsay accepts. As long as there is an available slot. hi there, we we're currently here at cdo for business but we have a 1 day free leisure time . it is on sunday what is the best adventure we can do. we want to try river rafting and go to dahilayan park but we also want to go around the city. what itinerary could you suggest? we didnt have any tour guide yet. also we we're free every 7 pm onwards, is there anything we could to that time within cagayan? please do reply us. thanks. Hi! Just want to ask can we try TSADA KAGAY-AN Half day City Tour and after that we want to try Whitewater Rafting Adventure.. it is possible to do that in 1 day (Saturday?) we are group of 4. thanks! Yes! You can actually try and avail the P599 per pax Tsada Kagay-an Half day City Tour at 7:30am (assembly time) and on the afternoon at 12:30nn will be your Whitewater Rafting Adventure. Please send me your name and contact information so I can reserve the slots for your group through this email address: countclementdampal(at)gmail(dot)com. If you have concerns, and/or inquiries, don't hesitate to contact me, i'll be glad to assist you on your stay and visit of my city: Cagayan de Oro. Hi Count...I want to visit CDO with my wife in January 2013. Aside from the white water rafting adventure, what are the places within/nearby the City which you can visit or go on island hoping? Thanks...BTW, Great job on the blog. thank you for posting your blog.I learn a lot about this blog. Would it be possible if I'll ask for the White Water Rafting infos? Where can we go to book for the rafting adventure? Thank you for that wonderful question and you're in the right place. 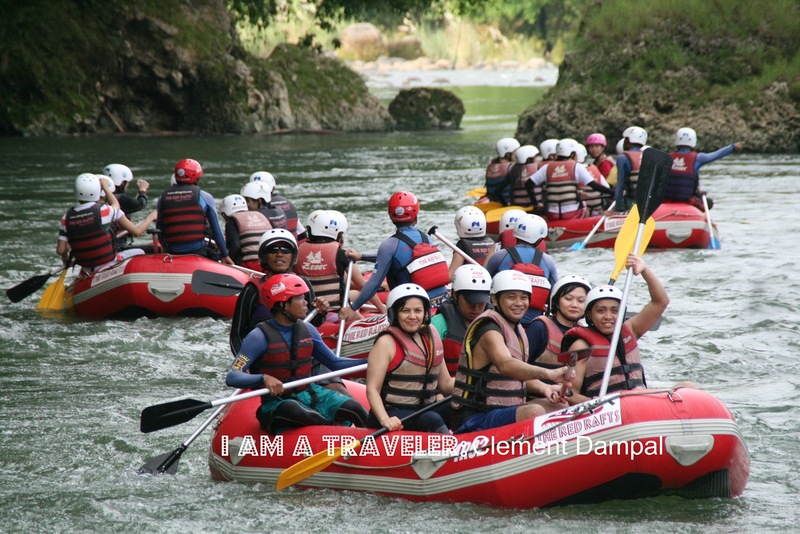 Beginner Course rate starts at P700.00 per person and all of the said rafting companies are the same in price with distinct type of services as per memorandum by the city office. We will go to CDO this feb 22-24. Out initial it is day 1 - white water and zipline (we can do this ina day right? Can u recommend a package or contact for this?) day 2 camiguin - do u suggest we do it on our own or do u know a package too? Day 3- back to cdo then back to manila. Is the IT too tight? What do u auggest? Greetings from Cagayan de Oro City, Philippines! What time are you arriving on the 23rd of February? Yes, you can actually do that (Whitewater Rafting and Zipline Adventure) in 1 day presuming that your estimated time arrival in Cagayan de Oro is earlier than 7 in the morning. Can I ask your e-mail address so I can send you also your possible schedules for your Cagayan de Oro Trip. I will be visiting Cagayan on the 23rd. Unfortunately 1 day lang ako because of some meetings. My flight will be 4PM at Lumbia airport. What activity/ies should I take to enjoy my visit there? It's nice to hear that you will be visiting the City of Golden Friendship on the 23rd of February. And yes, you can still enjoy your visit with your schedule. Meanwhile, what time are you arriving on the 23rd of February? We have this Tsada Kagay-an Half day City Tour at 8 in the morning until 12 noon. You can experience the tour with your schedule presuming that you will be arriving earlier than 8 and its only P599 per head. By the way, I already sent you an e-mail. wow im also living in cagayan de oro and i love you blog you can also visit my blog this is all about my experience in biking in cagayan de oro. we are going to cdo this august , I would like to ask if we can do the white water rafting and the zipline in a day? we are going to cdo this august just want to ask if we can do the white water rafting and the zipline in a day? Yes, that is possible for a whole day activities. Meanwhile, can I ask your e-mail address so I can send you also possibles schedules for your Cagayan de Oro Trip. hi i will be in cagayan this may 30 to june 6. where else can i go after all those adventures? is there any nearby places that i can visit? There are plenty of adventures and places to experience and visit in the city including its nearby provinces. Divine Mercy Shrine and Christ the Redeemer Statue are actually examples for that. You can also try the Zipline Adventure in Brgy. Dahilayan or Air-biking at Campo Juan, Bukidnon. For a tropical paradise and a countryside tour, I suggest you visit the Camiguin Island. Thank you so much for that wonderful compliment. I really appreciate that. :) By the way, i guess it's less P100.00 for the kids and yes, the kids can actually try the whitewater rafting adventure especially the beginner course. You don't have to worry because there are certified river guides during the adventure. For the hotels, actually there are plenty of establishments that offers better services compared to others as each hotel have its unique amenities. we'll be having tour for 5 days. and we're doing our itinerary by now. can you suggest hotspot locations and affordable hotels in each city? hello will be travelling to cagayan de oro this june 7-9.. is it possible if we can experience rafting there?for 1 day we are only 2 pax.. i think they don wany to accept 2 pax there.. tnx .. hope you can help me.. Yes, most of the rafting companies can accept at least 2 people either seat in or exclusive experience. im sorry for a very delayed reply to your query , seems very busy last months... ill email the answer of your querry last time. • Trek legally. If you trek independently, you are not allowed to take any staff yourself by law. You need for this a Trekking Agency, the sole authorized to employ staff for foreign trekkers. Do not hire staff through hotels, "independent guides" unless they have a Trekking Agent license or offer this services through an affiliated Trekking Agent. • Please make sure you pack out all of your trash, including bottles and cans from goods consumed in restaurants. Bring the trash to the nearest truck-accessible road for the most proper disposal available. • Trekkers are also asked to refrain from relying on bottled water, since there is nowhere to dispose of the used bottles. Filtering or treating your water will reduce the amount of trash left behind in this fragile environment. Iodine pills are a cheap, lightweight solution. • Take the time to look at the pollution and lack of trash management all around you, from the trash-clogged rivers in the cities to the mounds of discarded beer bottles in the mountain villages. This is a country struggling with its rapid Westernization and hasn't yet figured out how to dispose of its waste. Don't contribute to the problem anymore than necessary! • After your trek you can give your clothes to the porters' clothing bank which is managed by the KEEP association This bank is located in Thamel at Kathmandu and provides clothes to the trekking porters. my family would be going to cdo on oct 17 (arrival around 8am). but i've arranged for us to be in camiguin on oct 18-19 then go back to cdo 19-20 (departure at 2pm). what activities can you suggest for oct 17 around cagayan? please consider also that we have 1 kids with us 5 years old. We would be visiting your city on the 27th , would it be possible for us to join a rafting course in the afternoon? Thanks! Hi me and my boyfriend are going to cdo this summer and i heard about night water rafting im kinda interested do you know any water rafting companies thay offer such course? Great pics and nice article. You have a very wonderful trip. Gonna do these amazing things. Hi, Is it possible to take the Tsada Half day Tour and at the same time catch up a flight to manila at 2pm? I sent you an email, hope to hear from you soon..
Hi, we will be having a departmental team building activity and we are planning to visit CDO sometime in August this year. Aside from Whitewater rafting, can anyone suggest any other activities that we can do as a group. Appreciate if you can also recommend any place to stay in - may not be a class hotel - preferably affordable inns/ resort where our group can bond and no restrictions on karaoke and drinks or dance at night or with pool with no early curfews. Thanks. HI! We are only 2 persons and we'll try the water rafting, if you reserve for today when can you do the rafting? Our schedule is not fixed yet. But it's sure that it will be this July lang. Me, my wife and our 2-year old daughter will be in cdo for a 3-day vacation starting on July 18, 2014. Since we will be traveling with our baby, can you please help us on how we can make the most out of our visit in your city. You may contact me trough my email at emzdaria@yahoo.com. Looking forward to your soonest response and thank you in advance! Hi We weill be there on Aug 07 for 4 pax. Pls quote me for a city tour and rafting. Also we need a house to stay for 20 days budget is 10k below. Hi! Do you have Canyoneering and River Trekking's contact details? I'd love to try their adventure rides but as you mentioned, it should be 5pax minimum. Hope to hear from you soon. Thanks! 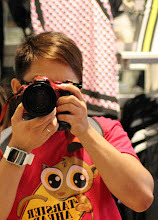 Thank you for this very detailed blog post about things to do in CDO! We will surely use as a guide! Hi. I plan to experience water rafting with my family. Is it okay to bring kids of 5-7 years old? Great list! Too bad, night cafe is no longer displayed in Divisoria every Friday and Saturday nights. But I believe it didn't affect the city's way to progress. Proud Kagay-anon here! Hi!..Count, we're visiting cdo this august!..excited much!..Im still planning our what todo list..1st thing we want to do is to conquer the cdo rapids..how can I contact you...we're very much in need of ur assist..we're just 2 and 1st timers! ill be in cdo dis aug 31... sunday po yun... may tour po ba kahit sunday? Just for updates, the Night Cafe is relocated in Rotunda drive, it's more organized now and offers more food from the different stalls there. You can also shop there. Awesome blog! Reading this one makes me wanna go and visit Cagayan de Oro City too! I never thought CDO would be as awesome as what you've described on the your article. Gotta give it a shot since I'm just from the nearest town. Thanks for this Clement! Too bad the night cafe is now closed. After they were transferred near the Rotunda area, they were only there for more than one year, as of now they are close. They should have an exclusive area in the city, I prefer outside downtown area to avoid traffic. 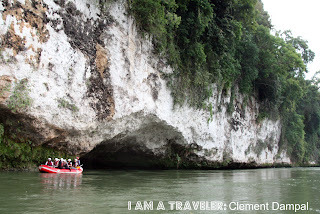 One of the best activities I enjoyed last time I visited Cagayan de Oro is river rafting in the spectacular Cagayan de Oro river. They offer different types of rafting trips.It was memorable experience. Living in Cagayan de Oro City sounds so exciting and eventful. It feels like everywhere you look a scenery will catch and please your eyes. It truly is treat to live in a house at CDO.